With over 30 years in business, an affiliation with the Better Business Bureau and a reputation for outstanding service in every aspect of our work, Commercial Equipment Service is proud to be the trusted restaurant and commercial equipment installation service provider for countless area businesses. Whether you’ve done business with us for years or have only recently hired us for refrigeration equipment, cooking equipment or ice machine repairs in Delaware, you know that our team is here to provide the quality service and expert workmanship you deserve. 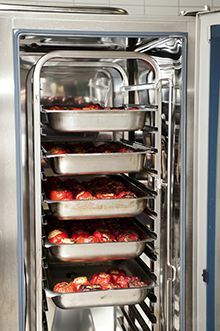 Refrigeration equipment: Commercial refrigeration equipment is one of our areas of expertise. In addition to reliable installation, we also offer refrigeration and walk-in cooler repairs in Delaware—we’re your go-to source for everything related to your refrigeration equipment! Cooking equipment: Our team can install a wide range of cooking appliances, including ovens, stovetops and more. Trust the best to handle your essential cooking equipment! Heating and air conditioning: Commercial Equipment Service also installs heating and air conditioning equipment to ensure our clients—and their customers—enjoy maximum comfort all year long. Emergency generators: Having an emergency generator onsite can be a lifesaver for your business. Ask us about your options! Kitchen exhaust systems: Whether you’re opening a new restaurant or simply need a new system installed, our team is ready to install kitchen exhaust systems in Delaware and beyond. Beverage systems: It doesn’t matter if it’s soda, tea, beer or coffee. When you need beverage system installation or beverage system repairs in Delaware, make sure you trust the team at Commercial Equipment Service with the job. 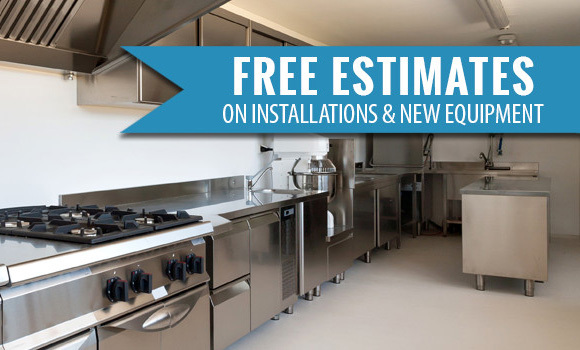 Free installation estimates: Are you in need of new commercial equipment but worried about the cost of installation? We provide free installation estimates to help our customers plan for the equipment they need without breaking the bank. To get in touch with Commercial Equipment Service about restaurant or commercial equipment installation, call us today at 302-475-6682. We look forward to helping your business run more smoothly and benefit from a wide range of high quality, expertly installed products!